Patrick wants a Web-based mail service to be his default email. Considering the popularity of Gmail and Yahoo Mail, I'm amazed that this isn't slick and easy. Yes, if you use Firefox, you can set either of these to be the browser's default, so that clicking a mailto link on a web page (such as answer@pcworld.com at the bottom of this post) will bring you to your e-mail service of choice. But that won't do you any good when you click Windows Explorer's E-mail button or select Word's Send Email option. document from, for instance, Microsoft Word, the program creates the message through Windows' default e-mail program. And I have yet to see a browser that can be installed as Windows' default e-mail program. My solution: a free program called Affixa, which can install itself as Windows default e-mail program. 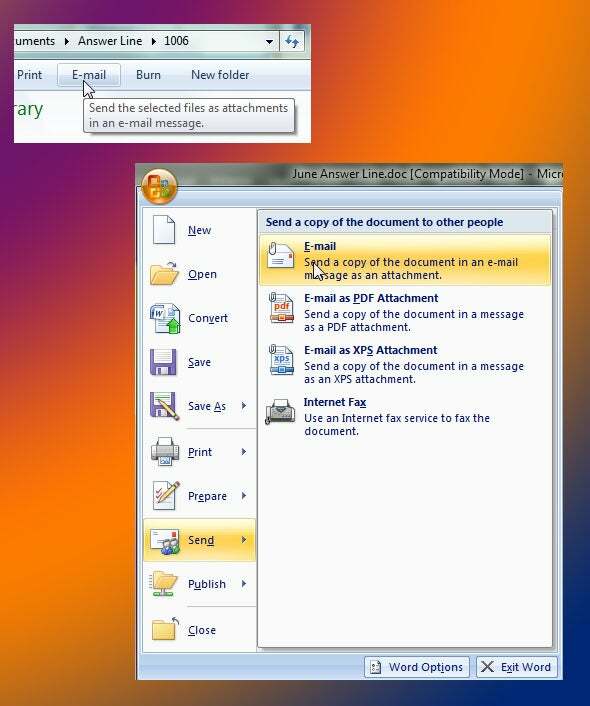 Tell Windows Explorer, Word, or WinZip that you want to send a file, and Affixa uploads the file and creates a message in Gmail's or Yahoo's Draft folder. After installing it and is loading it for the first time, a dialog box will ask you about the tray application. I recommend you uncheck both options. Affixa is a wonderful little program, but the systray program doesn't really do much. Affixa will then ask if you want it to be your default mail application. You do. This will take you to the Options window, where you can set up your account. Doing so will bring you to the Account Settings dialog box. You can figure out how to set up the account by yourself. But one option you should definitely check is Launch your service after creating a draft message (with your service being, well, your service). If you're using Gmail, that option is on the Preferences tab; for Yahoo, it's on the Account tab. You can upgrade to the full version of Affixa for an annual subscription of £2 (about $3 American as I write this). This will allow you to use it for more than one mail account, and let you zip files before you send them. Firefox users may want to augment Affixa by setting their browser to handle mailto links directly. It's faster, and doesn't interfere with Affixa's handling of Windows programs' mail tools. From within the browser, select Tools, then Options. Click the Applications tab. In the Mailto line, select the appropriate choice. If you use Gmail and Chrome, you might want to augment Affixa by downloading and installing ChromeMailer (you'll find the x64 version here). 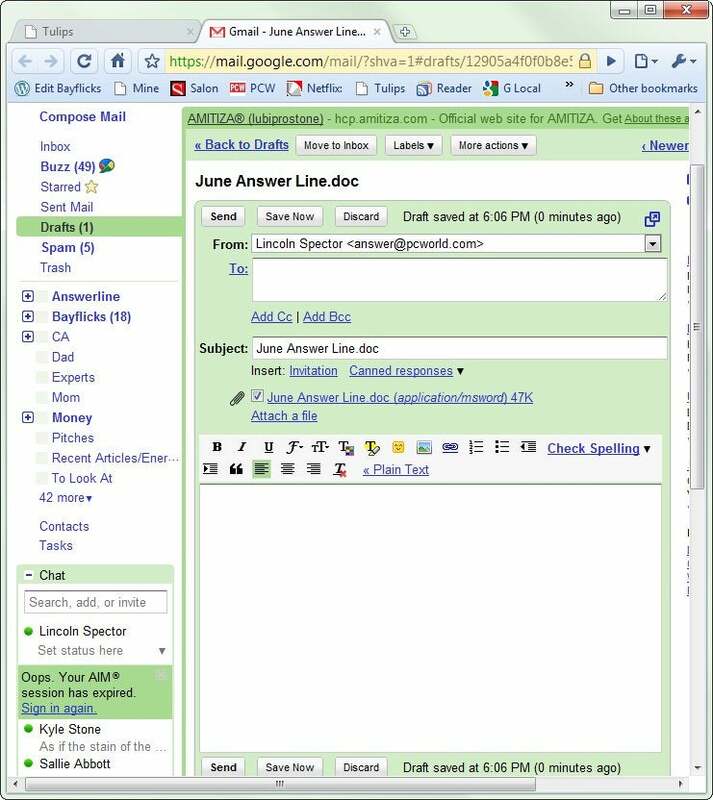 This simple little program makes Gmail the mailto default, without effecting Affixa's work outside of the browser. And it too is faster than using Affixa for this job.